I think about these words often in my work, especially around this time of year. The notion of “doing for others” - particularly those in less advantageous positions - is what drove me to become a community organizer and has stayed with me throughout my career. Growing up in South Texas, I felt the effect of the digital divide first hand, and the huge impact that something as simple as Internet access can have on a family. It wasn’t until I was almost a senior in high school that my family finally got an Internet connection at home. That connection (on an old computer, over a dial-up modem) is what allowed me to research and apply to colleges and scholarships, and ultimately is the reason I was able to obtain my bachelor’s and master’s degrees — both “firsts” for my family. But it would not be a “last,” as all four of my younger brothers would go on to college, as well as my mother who pursued her degree later in life, taking courses online! Even now, as a Community Impact Manager at Google Fiber, I ask myself this question every day: what am I doing to help people impacted by the digital divide? The idea of giving people access to opportunity has been a piece of Google Fiber’s mission since the beginning — we believe in the power of the Internet to empower people and their communities. That’s why today we’re excited to announce the newest cohort of Digital Inclusion Fellows. Four years ago, Google Fiber cofounded this program with NTEN to grow the community of digital literacy leaders, advocates and practitioners across the country. Fellows work with their nonprofit host organizations to provide programming to their communities aimed at building technology skills and growing access. You can find more information on all the 2019 fellows here. As a former Digital Inclusion Fellow, I can tell you that this program is more critical than ever. 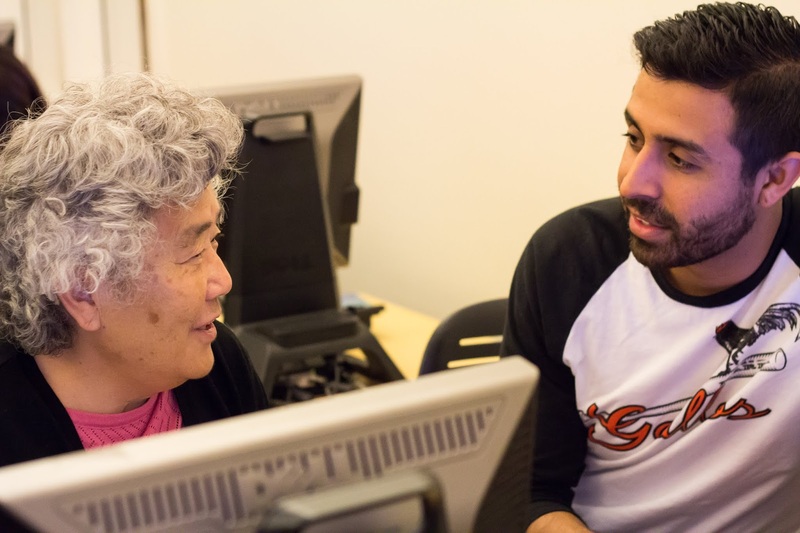 In my time as a Fellow here in Texas, I worked with Austin Free-Net to connect Austin’s underserved communities with digital resources and skills. We raised awareness by creating Austin’s first Digital Inclusion Day, we held the city’s first Digital Resource Fair and we strengthened the organization’s volunteer trainer program. But most importantly, I got to build a professional network of amazing people who were working on the same challenges across the country, day in and day out. We’re incredibly proud not only of the work we’ve done through this program -- we’ve provided nearly 73,000 hours of training for more than 16,000 unique participants across all our Google Fiber markets over the past four years-- but also of the Fellows and program alumni, many of whom are now leading digital equity work in their communities and nationally. We look forward to seeing this new cohort of Fellows in action and what good they "do for others" in their communities. “Life's most persistent and urgent question is, 'What are you doing for others?’” - Dr. Martin Luther King, Jr.